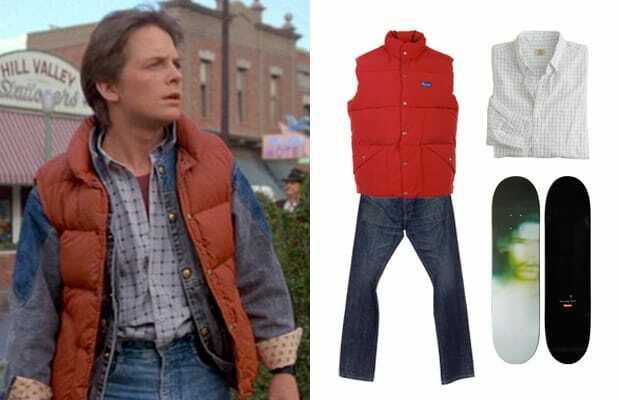 Marty McFly in "Back to the Future"
As one of the most iconic characters in history, Marty McFly has set the bar pretty high for movie character style. Not only did he conjure up that casual swag in "Back to the Future" that is still very much applicable today, but he also started a revolution with one of the most highly-anticipated Nike releases of all time. We have no problem grabbing inspiration from the McFlyest of them all with some of the pieces, but we don&apos;t think we&apos;ll be dropping large skrilla on the Air Mags anytime soon.